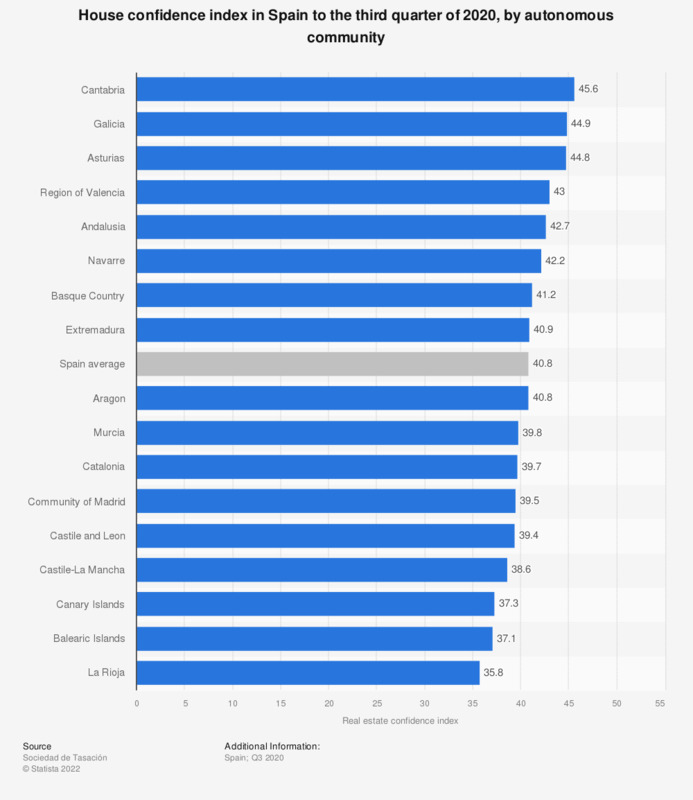 This statistic presents the confidence index to buy a house in Spain in the fourth quarter of 2016, by autonomous community. The Balearon Islands and La Rioja were the communities with the highest level of confidence in the purchase of housing. The Real Estate Confidence Index is based on the opinion of more than 600 professionals on economic-real estate aspects of the areas where they carry out their professional activity.